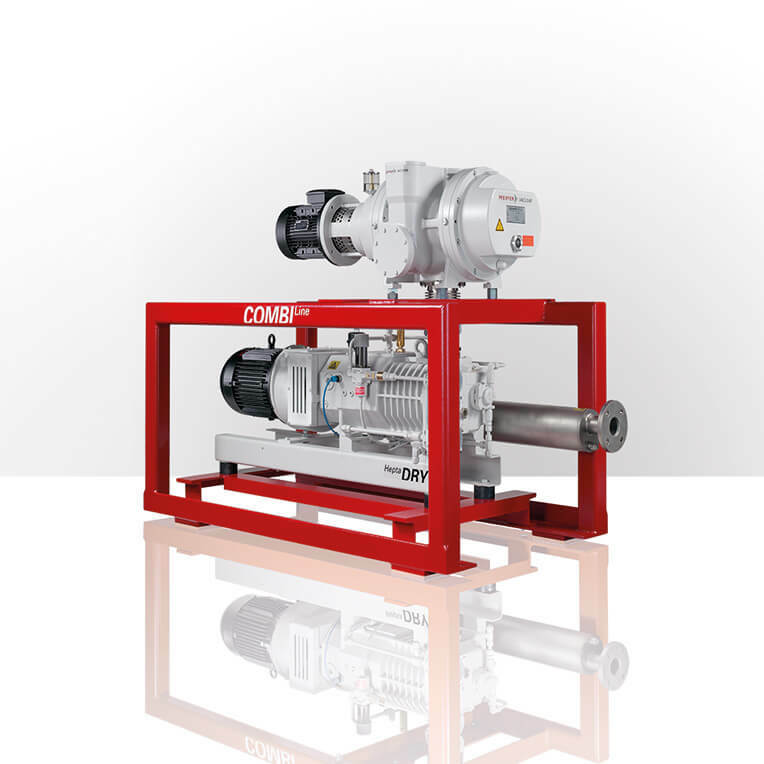 With our CombiLine pumping stations we always offer you the perfect solution for your applications in the low and medium vacuum as well as in the high vacuum with a pressure range of up to 5 · 10-4 mbar. We offer 14 different promotion packages. All components are mounted on the same basic frame and connected by internal piping. Including operating fluids. For further information about our Roots Pumping Stations, click here.